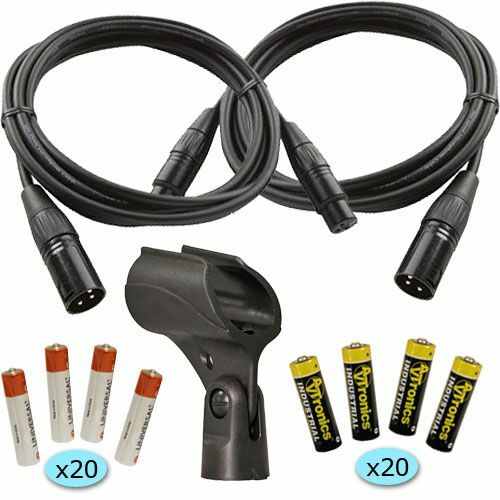 Great Starter accessory pack for your AVTronics or PendoMax dual mics. Have everything you need to get started and not worry about it during your service. 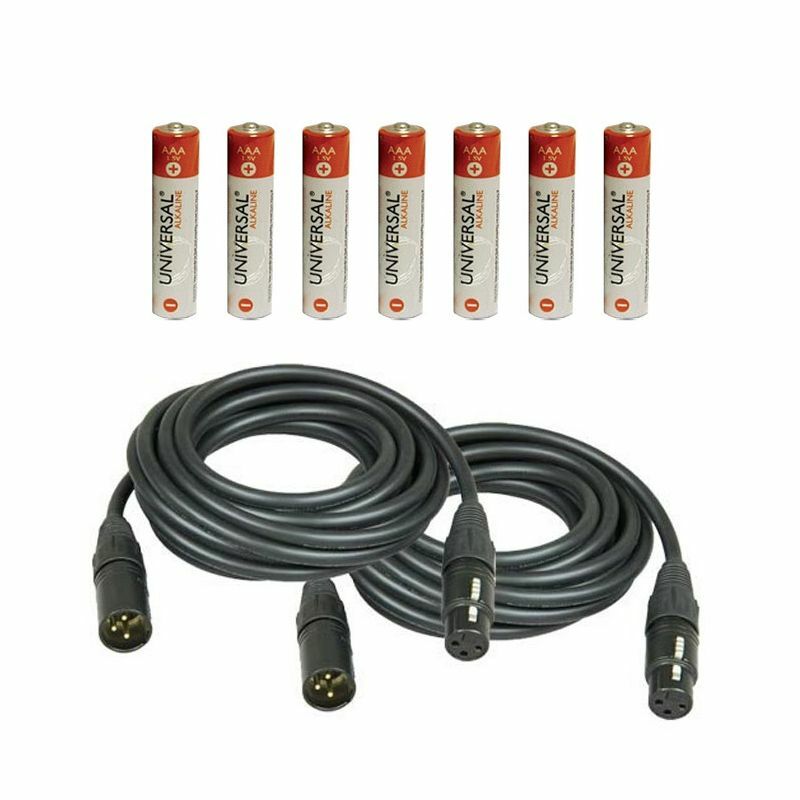 Your new dual AVTronics and/or PendoMax systems come packed with features, but there are a few items you'll need to get it integrated with the rest of your system. 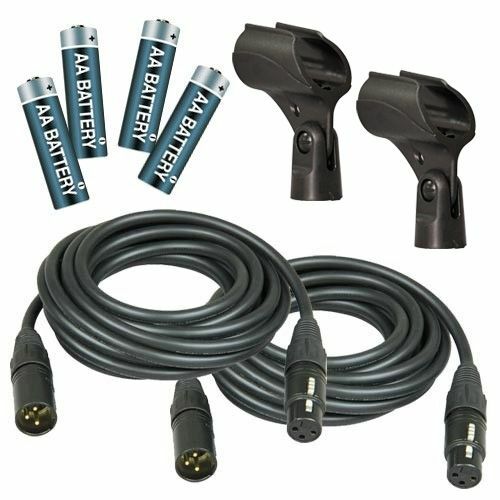 Our three accessory kits each include : two XLR cables to plug the dual channel receiver into your mixer, two wireless mic holders to attach to your mic stands (the body of a wireless mic is much thicker than a wired mic, so it requires a special mic holder), and a pack of 40 Alkaline Batteries. 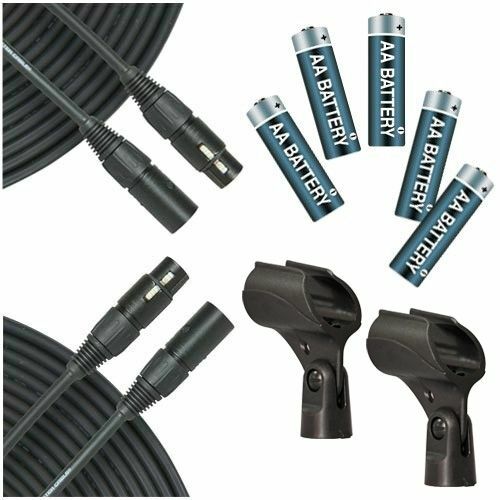 With these accessory packs you will be ready to get the most of your new wireless microphone system! Actual batteries may vary from those pictured.